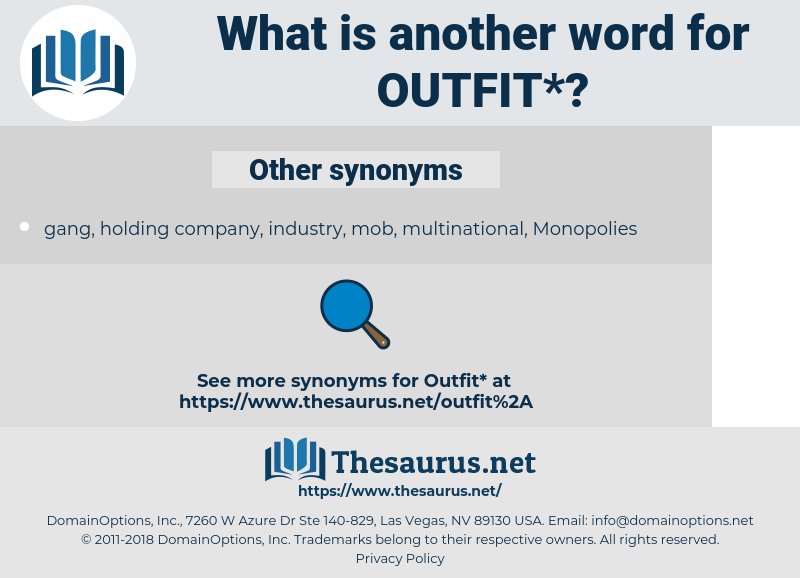 What is another word for outfit? All the articles necessary for any undertaking; as, the outfit for a journey. 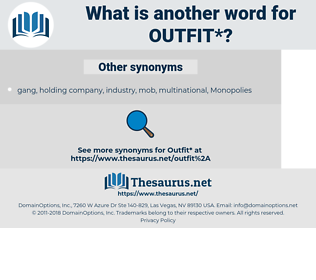 suit, speakers, men, disguise, unit, apparel, jacket, garment, coat, garb, robe, faction. costume, getup, uniform, shirt, get-up, band, tux, tuxedo, gown, wardrobe. refuse, take, Unfurnish, reject, bare, unclothe. He could take the whole outfit East for nothing. Got another outfit here, haven't you?